‘Tis the season to be jolly! 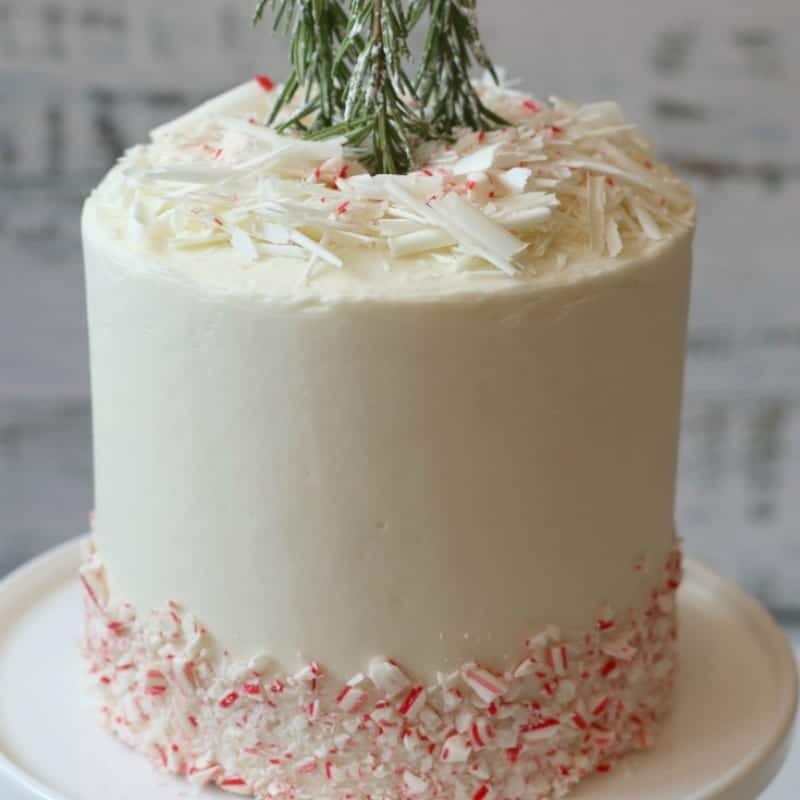 And, if you’re anything like Jodie and me, ’tis also the season to eat cake 🙂 We are huge fans of peppermint any time of year. 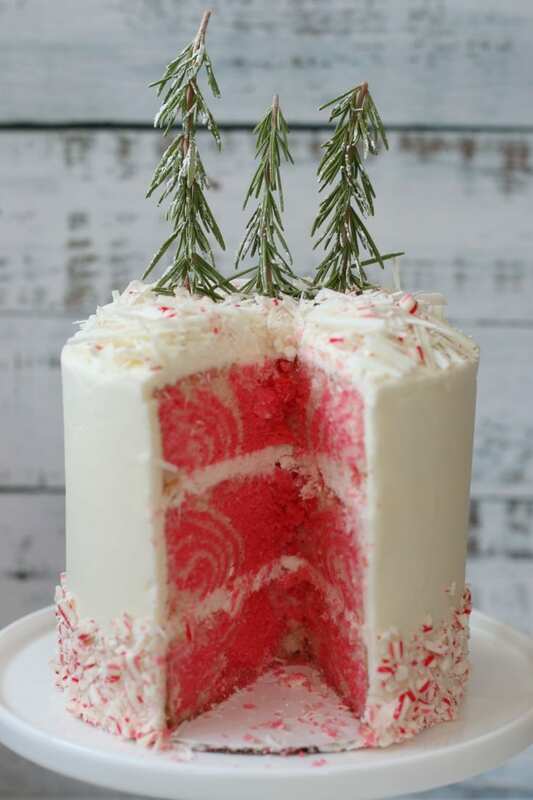 But there is nothing like the flavor of peppermint for the holidays! When the holiday season rolls around every year we start to watch for all things peppermint to appear: peppermint bark, peppermint lattes and peppermint flavored anything. Yum! There’s just something about the flavor of peppermint! The aromatic scent. The slightly cooling, refreshing taste. And when mixed with sugar (and especially CHOCOLATE) it blends together to create the most luxuriously delicious combination! Is your mouth watering yet? 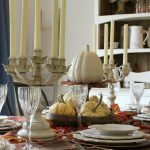 As you plan for your holiday events we have all kinds of ideas to assist in your efforts. 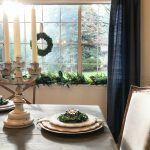 For help creating your holiday table visit our post, Seven Gorgeous Holiday Tablescape Ideas. 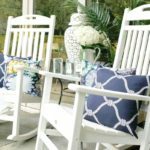 Also, to learn our best entertaining tips read 12 Easy Inexpensive Tips for Outdoor Entertaining that work great for both indoor and outdoor parties. They will help you pre-plan, delegate, and relieve stress so you can truly enjoy your guests. 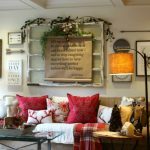 And of course to make your homes merry and bright head to any of our many holiday home tours and holiday decor posts. Our most recent is Making Merry This Holiday Season with Family Traditions. 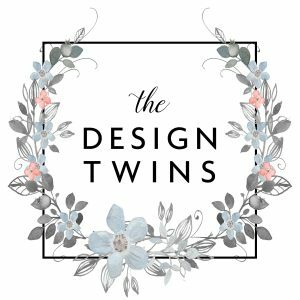 I meet a lot of talented wonderful women on Instagram but most of the women I follow are in the Home Decor Niche. Somehow along the way I met Angie! Angie and I became friends instantly because of her kindness and generosity. When I went to look at her account I was surprised to see photo after photo of amazing desserts… but no decor in sight. I decided to break my own Instagram rule and follow her anyway. Yes, her posts have been known to make me crave chocolate chip cookies at all hours of the day or night but getting to know Angie has been so worth it! And when I got the idea of partnering with a really talented baker for a special Christmas dessert I knew exactly who to ask!! 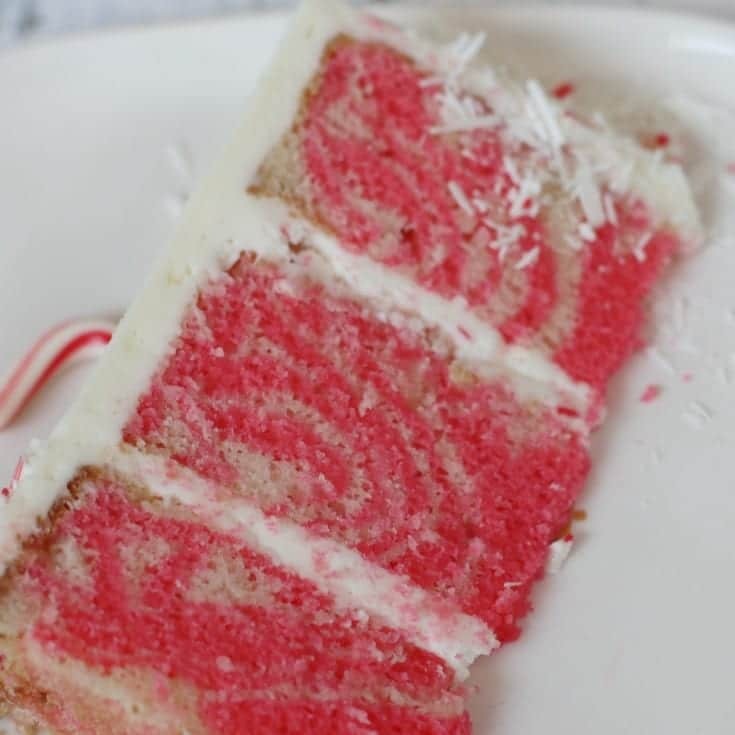 When Angie and I started talking about making a holiday treat to share on our blog I didn’t even have to mention the word peppermint. She naturally read our minds! 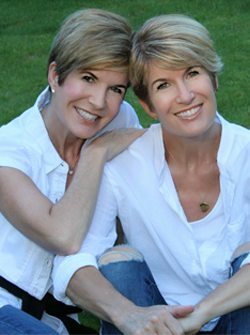 Julie and I are so delighted to be able to share one of Angie’s personal favorite cake recipes with all of you. To follow along on ALL of Angie’s baking adventures and find inspiration for your own baking ideas be sure to follow Angie’s Instagram account @busymakingpie Happy Baking everyone!! 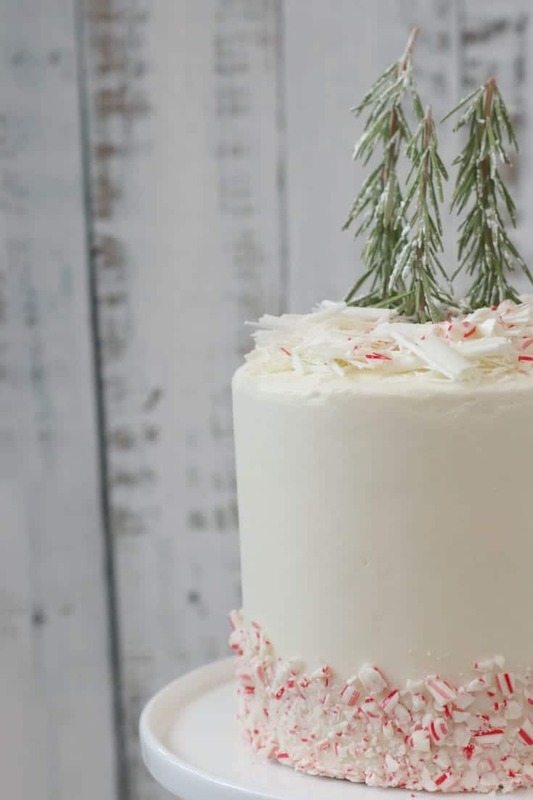 This gorgeous cake is the perfect addition to any holiday celebration. It’s delicious and festive-looking. 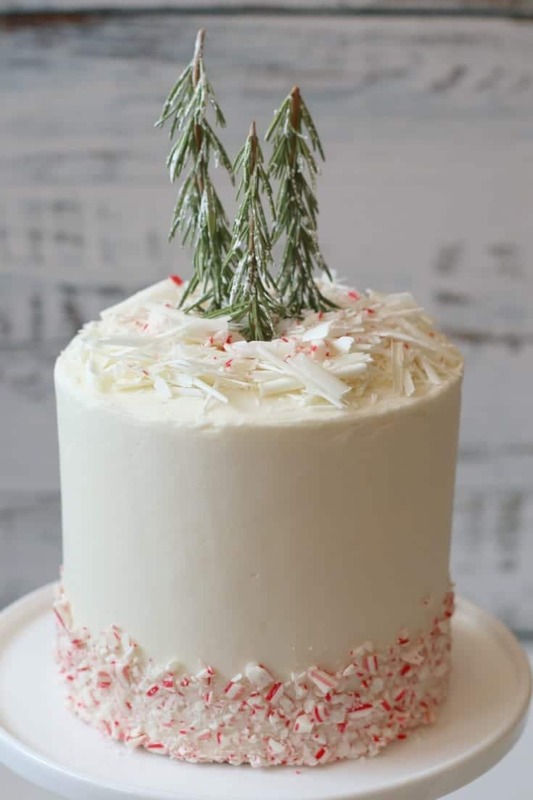 It would be the crown of any holiday dessert display. Enjoy! White chocolate curls, shavings, or chips (You can buy or make your own white chocolate curls or shaving). Preheat oven to 350F. Grease and lightly flour three 6-inch cake pans and line with parchment paper (I use PAM baking spray with flour). In a medium bowl, whisk cake flour, baking powder, and salt. Set aside. 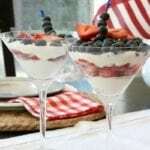 In a large bowl, combine eggs and sugar and mix on medium speed until light and airy (Approximately 1 minute). Turn mixer to low speed and slowly add oil. Add half of the flour mixture to eggs, sugar and oil. Mix on low speed to combine. Then add milk and sour cream and mix until just combined. Add remainder of flour mixture and mix on low until just combined making sure not to over mix. Scrape down sides of bowl with spatula and gently mix, just to be sure everything is incorporated. Divide batter in half. To first half add 1 ½ teaspoons of peppermint extract and a few drops of red food coloring and stir until red color is mixed in. To second half of batter add 1 ½ teaspoons of vanilla and finely chopped white chocolate and stir until fully incorporated. Pour ¼ cup of white chocolate batter into center of greased pan. Then pour a ¼ cup of peppermint batter directly on top of white chocolate batter. Repeat until you have all three pans equally filled. Bake approximately 25 minutes or until cakes are cooked through (since each oven bakes differently start checking around 22 minutes). To test if cake is done, insert a toothpick into center of cake. If toothpick comes out clean, it’s done. In the bowl of a stand mixer with paddle attachment, cream butter for approximately one to two minutes. Turn mixer to low, and gradually add powdered sugar ¾ cup to 1 cup at time. Once 1 cup is mixed in add next cup. Be sure to stop mixer and scrape down sides occasionally. Once all powdered sugar is mixed in, turn mixer to med speed. Add salt, vanilla extract, and if you prefer a more pepperminty taste, add peppermint extract. Continue to mix, and slowly add heavy cream one tablespoon at a time until you have achieved desired consistency. 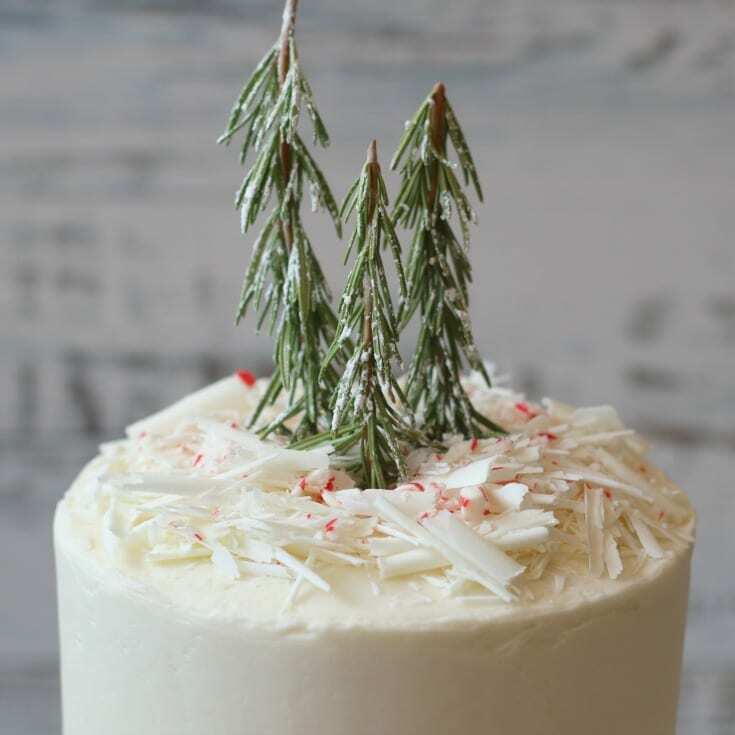 For a smooth finish, mix frosting by hand with spatula for a minute or two to decrease air bubbles. This is also a good time to add food coloring if desired. 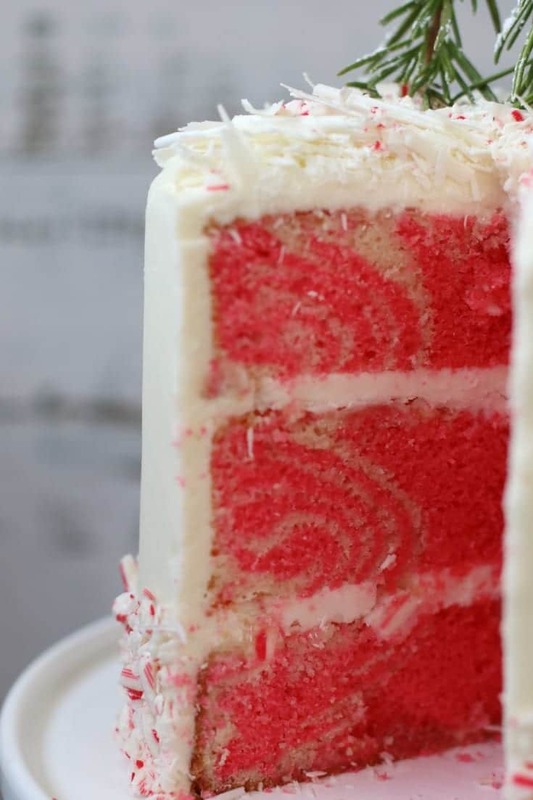 Trim tops of cake layers until even. Place one layer on cake board or serving plate and add approximately ½ cup frosting and spread evenly. 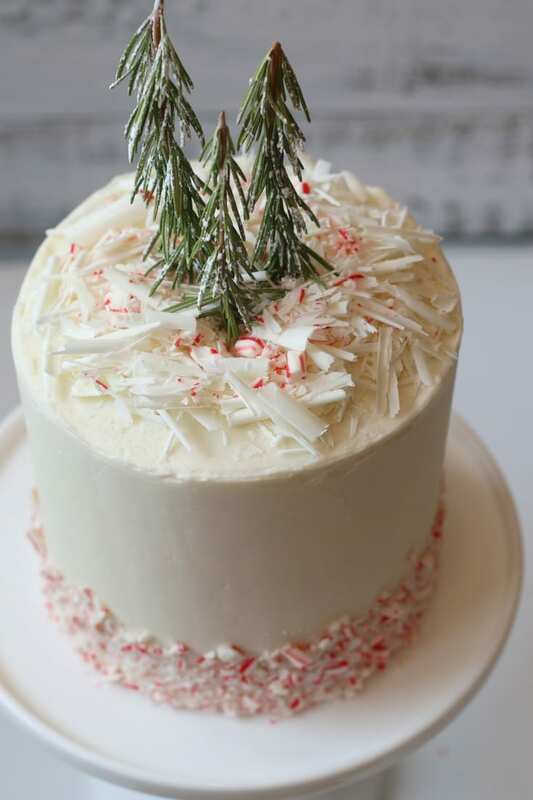 Once layer is frosted, sprinkle with crushed candy cane and place next layer on top. Repeat process for second layer. Add final layer. Once all layers are assembled, apply a thin coat of frosting to entire cake and stick in refrigerator for about 15 to 20 minutes. 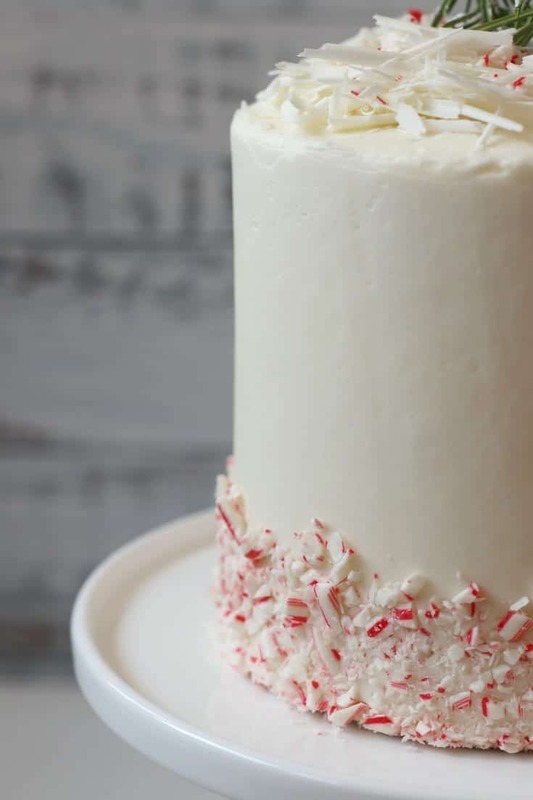 This will set all crumbs so you can easily apply your last layer of frosting. Frost cake with spatula or frosting smoother. Store cake in refrigerator and remove approximately 20 minutes before serving. All we need to do now is put on some Christmas music and find our fuzzy slippers! I think I’ll cozy up next to the fire and have another slice! We hope you have fun using this recipe for your own parties and holiday celebrations this coming season. And let us know how it turns out. We can’t wait to hear from you.